Author’s note: I’m going to share some very private information with you to demonstrate how you can successfully recover from a surgery, without allowing your scoliosis to worsen. It’s important to note – I did NOT have scoliosis surgery or any type of surgery on my back to correct my scoli. This story describes a recent surgery I had elsewhere on my body, but my point is anyone with scoliosis needs to take active steps to ensure that your scoliosis does not worsen after a surgery – regardless of the type of surgery. Did you know that you can successfully recover from different types of surgery when you have scoliosis, without allowing your scoliosis to worsen? I know, because I just did. Over the last few years, I had seen several different doctors, as I knew that something in my body was not OK. I just knew it. Something didn’t feel right. None of them could figure it out. Desperate for answers, I asked for copies of my OB/GYN records dating back to 2008. There, in plain English was the culprit, noted on the many ultrasounds that I’d had from my pregnancies over the last seven years. There was a grapefruit-sized cyst off of my right Fallopian tube. I was immediately overcome with emotion: why had no one mentioned this cyst? My immediate frustration quickly turned into positive action as three weeks later, I went under full anesthesia and had urgent surgery to have the cyst removed. Four incisions were made on my abdomen where robotic arms went in to perform the procedure. I praise the Lord that my final pathology reports came back benign and I’m looking forward to the new lease on life that God has blessed me with. 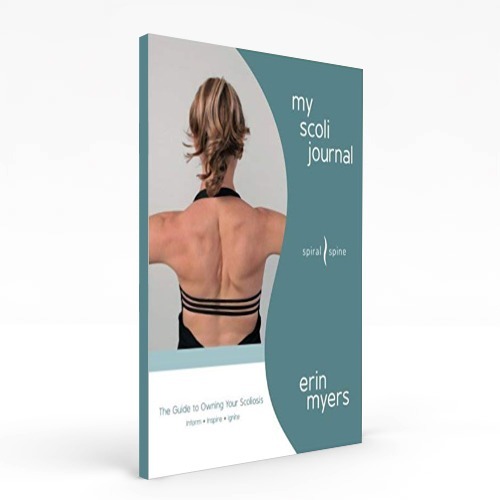 As I was planning for my surgery, I knew I had to figure out how to aid in my own recovery, paying special attention to my scoliosis, because I wasn’t going to be in my right mind to make any decisions for a while afterwards. If you have any surgery on your body, know that it will affect your scoliosis negatively, so you’ll need to make a plan to get your body under control and in order as soon as possible. Ugh. I’m not going to lie, the first week after surgery was HORRIBLE and I wasn’t prepared for it. I was sent home a few hours after my surgery, but in hindsight, I should have been kept in the hospital overnight so the nursing staff could care for me. I literally couldn’t stand up straight for at least three days post-surgery because all of the muscles and fascia that were cut during the procedure were pulling my ribcage down to my pelvis. Thank goodness for my blessed husband, who was my main caregiver, along with dear friends of mine, as I couldn’t have done it alone. I knew I couldn’t move my ribcage or pelvis because the incisions needed to heal, scar tissue needed to form, and it all hurt too much anyways to attempt to move it. I also knew that about every 24 hours the entire bodily fascial system rebinds, so I had to move what I could in an attempt to stop everything else from seizing up. Week 1 Post-Surgery: The day after surgery, I immediately started back on the supplements I had to stop taking the day before surgery. I also started taking iron because I knew I lost a lot of blood during surgery and had previously struggled with anemia. In terms of movement, wrist and ankle circles are all I could muster up the first day. The next day, I added lying on the floor with pads correctly placed under my back to let gravity unwind my scoli, as I certainly didn’t have physical strength to do anything else (check out this link to find out where to place pads for your own individual scoli). The next day, I added a few passive shoulder and hip socket circles. I began using therapy balls to roll out my shoulders and feet. I forced myself to walk as much as my weak body could handle, which was only a few steps the first day, but this eventually led to the length of my driveway over the next few days. By the end of the first week, I was able to stand up straight and walk up and down my street. Progress! My doctor had given me the restriction of “no heavy lifting for the first six weeks post surgery,” and I heeded his instructions. My abdominal muscles were cut in surgery, and I knew they needed time to heal. I also knew that this did not mean don’t move at all. Nine Days Post Surgery: Even though I’d stop taking pain medication after the first few days of surgery, my head still felt fuzzy and my body didn’t feel right. I decided to go see my colon hygienist to get a colonic as I could tell that all of that nasty medication was still in my system, making me feel terrible. Sure enough, once my body was cleaned out, I started to feel like my old self again. I also started using frankincense, and coconut oil in rotation on my incision wounds to help them heal. The act of physically applying these regenerative, aromatherapy oils also lifted my spirits, and calmed my mind. Ten Days Post Surgery: I sat on my GYROTONIC tower for the first time, took all the weight off of the handle units and slowly moved my ribcage a bit. Oh, it felt soooooo good! Also, I carefully did a little traction on my Core Align wall ladder to stretch my ribcage out. My entire body, including my scoli, was so bound up that it felt amazing to finally be able to move it, albeit slowly. Eleven Days Post Surgery: I had my first bodywork session consisting of muscle and trigger point work. The therapist came to my house to perform the bodywork as I didn’t trust myself to drive home afterwards. I knew I’d be out of it, and I was! Two Weeks and One Day Post Surgery: I got on my Pilates equipment for the first time. I was very unstable in my abdomen and was still having a little pain, so I didn’t do any core work. However, I was able to do some assisted stretching with the equipment and a little legwork. Three Weeks Post Surgery: I had my first myofascial bodywork done. My therapist stayed away from my incision scars because I could feel some uncomfortable pulls, but she was able to work on my hips, legs, ribs, spine and arms. Ahhh. Interestingly, I could feel the fascia pulls from the surgery pulling on my right knee and right lower back, proving that surgery in one area of the body will still affect other, unrelated areas. Three Weeks and One Day Post Surgery: I did my first full Pilates class on equipment. I wasn’t expecting to be able to work my abs so soon, but I felt no incision or internal pain. I also went rollerblading, getting in my first cardio workout post surgery! Four Weeks Post Surgery: I went on my first family bike ride for a few miles. Slowly but surely, I was proving to myself that I had my old body back. Five Weeks and Four Days Post Surgery: The last thing for me to add back into my movement regimen was a heated yoga class. I carefully chose a class taught by teacher that I emphatically trusted and who knew me well. I arrived early to tell her what my body had been through recently and she put me in the back corner of the room near the door, and she gave me permission to open the door if I got too hot. The class was crowded and I conscientiously held myself back from doing anything crazy (which I LOVE to do – arm balances, head stands, etc.). I totally zoned out in the back of the class, mentally taking note of where the fascia was tight in my body and used the instructor’s teaching as a mere guide for my movement. I modified the lesson to fit my own needs. By the end of the 90-minute class, the combination of yoga, heat, my hands massaging any bound tissue, and movements specifically targeting my bound tissue totally released my entire body. I officially felt free! As you can imagine, my surgeon was happily shocked at my recovery progress at my six-week, post surgery follow-up. He commended me for actively taking a role in my physical recovery. And you can do it too! If you have scoliosis and are having any sort of surgery done on your body, your internal fascia can quickly pull your body into an even worse scoliotic position. Take the necessary steps before your surgery to map out your own plan. Surgery doesn’t have to make your scoliosis worse. I feel like a new person! You can see the difference between the first day after surgery, nine days post surgery, and now (two months post-surgery). Such a difference!